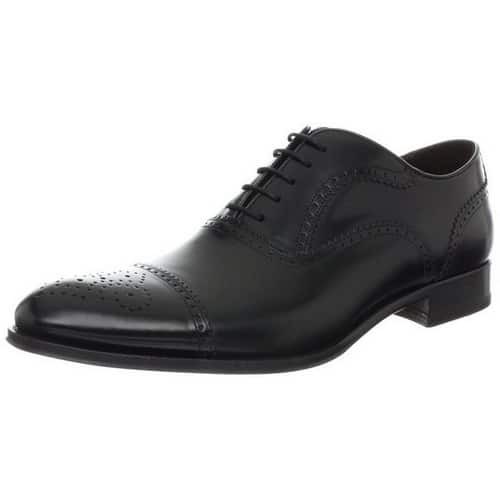 You’re planning to attend a formal event, unfortunately, you only have simple black shoes that you typically use on special occasion. You feel like it doesn’t match the suit you have purchased. Should you still wear it or not? Please, don’t. Make sure that your dress shoes match your attire in order for you to complete that “respectable look” you’re trying to attain. 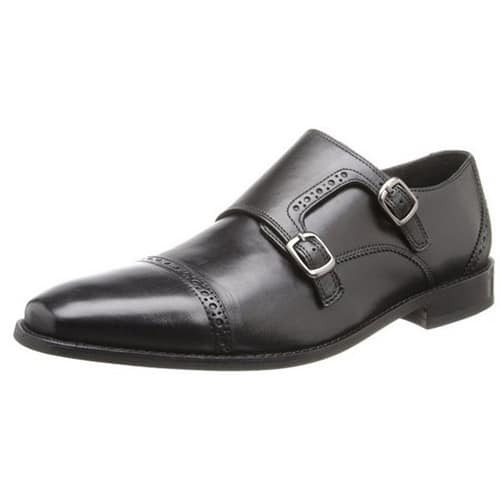 Men’s dress shoes are available, and there are many types to choose from. 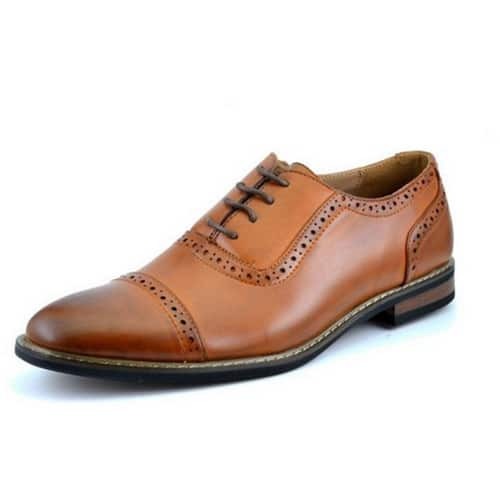 When it comes to purchasing men’s dress shoes, there are certain pointers to consider in maintaining a decent and respectable look. What you have on your feet can make or break you. Even if you have the most amazing suit in the world, but your shoes don’t match, then everything else becomes a failure. 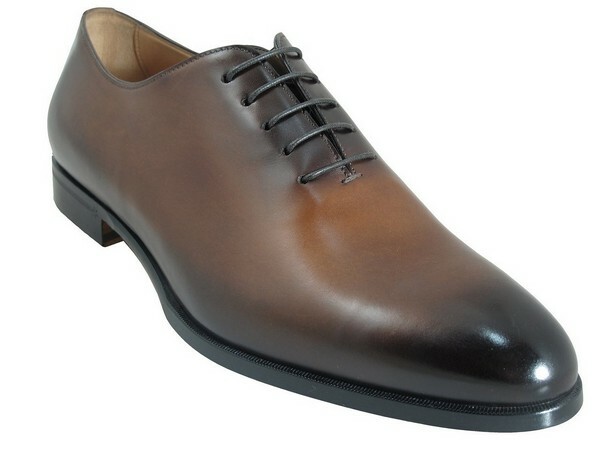 Man made material, Heel height: 1"
There are a lot of brands available in the market today. Some are expensive, some are affordable. However, please keep in your mind that not because it is expensive, it can make you feel and look great on it. You have to ensure that it matches your outfit and you will comfortable on it. 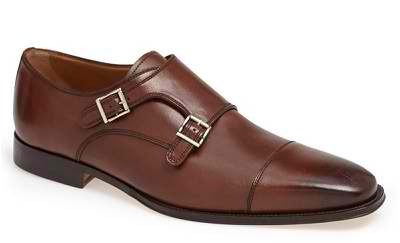 Remember, choosing dress shoes should not be done in a lax manner. You have to thoroughly check it for you to be sure that you will be able to use it with ease and comfort for years. 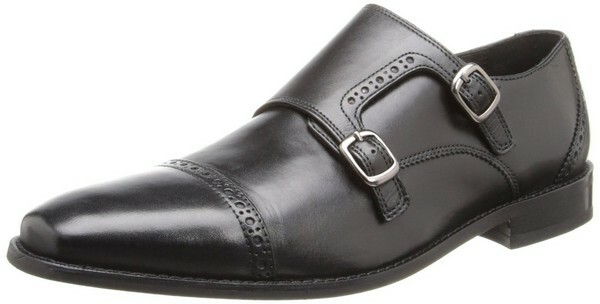 Monk Strap – is a style with no lacing, closed by a buckle and strap. 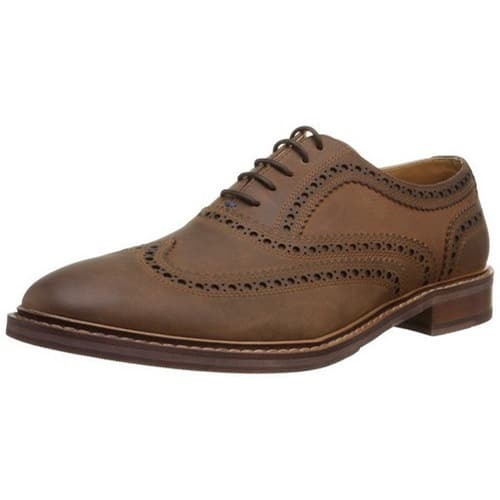 This looks good when matched with either wool trousers or dark denim jeans, but tend to look awful when paired with things like chinos or cords. 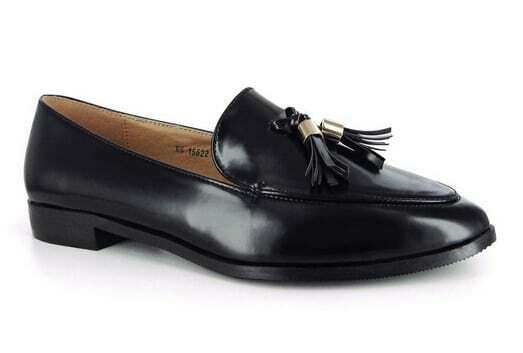 Loafers – is a moccasin-inspired shoe that is identified by slip-on style. 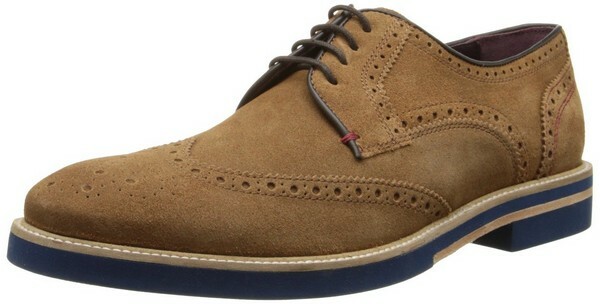 It may be worn with any casual look involving jeans or trousers. 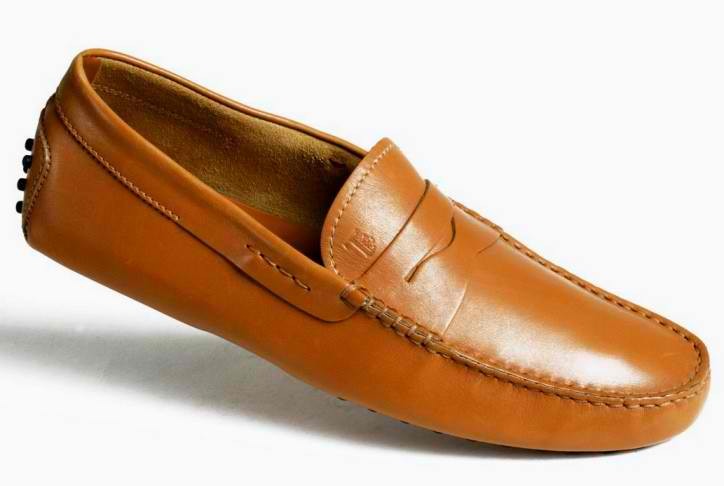 Driving Moccasins – was invented to let you feel the car’s pedals better. 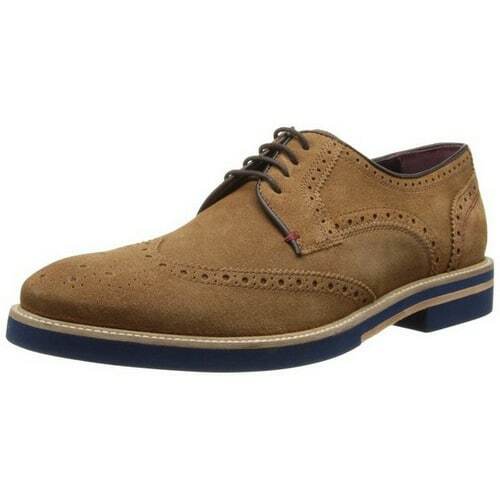 This nicely goes with khaki shorts in the summer with no socks. 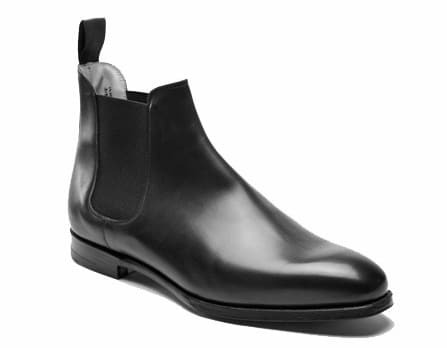 Dress boots – looks great with casual clothes, such as dark-colored designer jeans, a pair of dress trousers, or a casual suit. 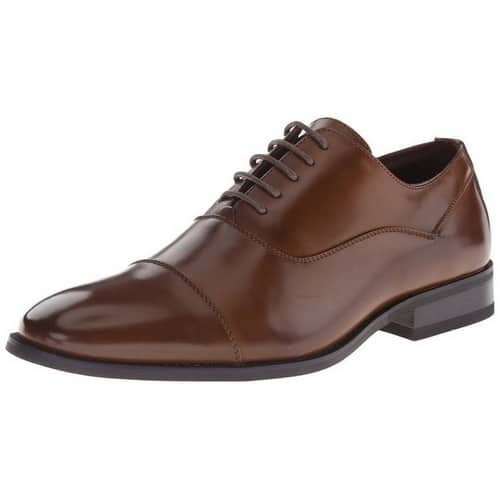 For casual occasions, lighter brown leather is better, while for more formal occasions, stick to dark-colored leather. 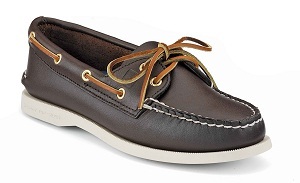 Boat Shoes – strictly functional piece of footwear has become very popular to wear casually with khakis or even jeans. 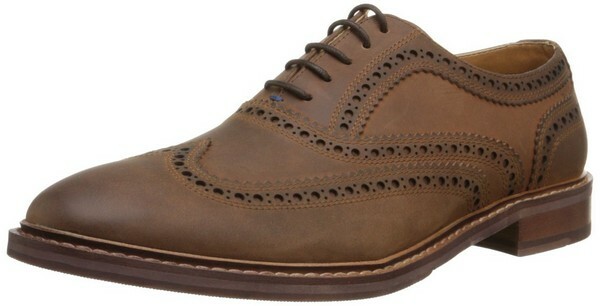 One should take the time to find a classic pair that is worth investing in. With proper care, they will truly last a lifetime. Also, the confidence you get every time you put them on will be worth the price. 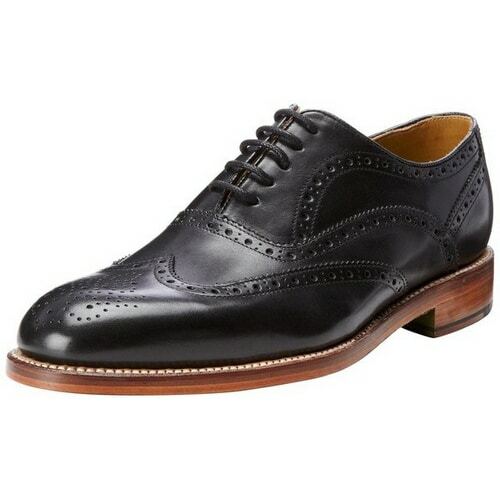 Below are factors to consider in choosing the right men’s dress shoes. A Brannock foot measuring device is advisable to use because it is more accurate. Boot leather doesn’t really expand. Take the time to measure your foot accurately. Allow a half-inch space between the tips of your toes and your shoes. 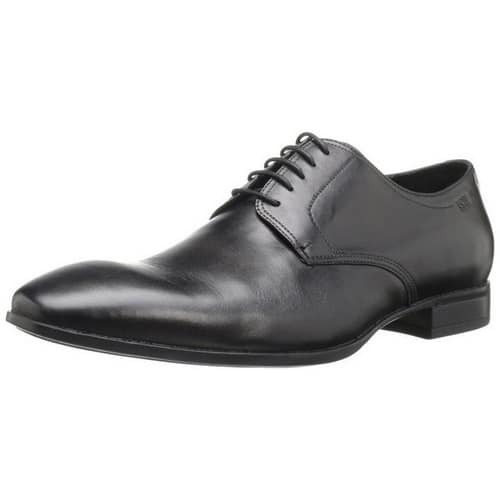 Be sure there is enough room for your toes to move comfortably if shoe toes are pointed. Always try them both on, with matching socks, walk around in them, and feel if they are comfortable to wear. 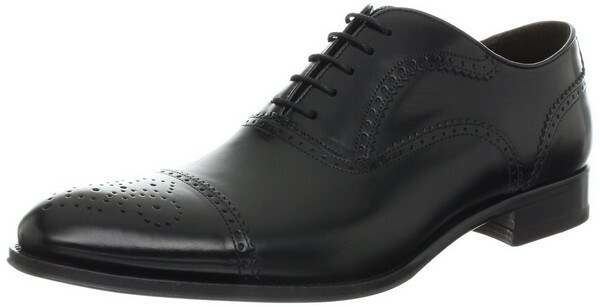 If you’re pairing it with a black suit or tuxedo, go for black shoes. It is also fine with all of the dark shades of gray and navy but not with any of the earth tones. 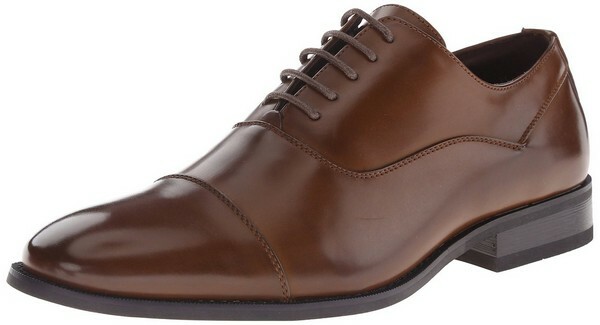 Brown shoes match almost every color suit (except for black) and look great with jeans. 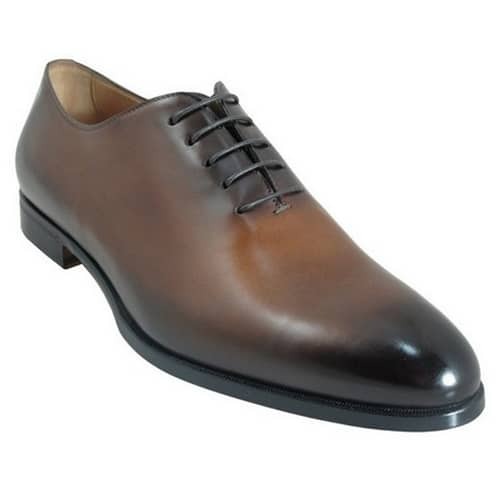 It is also appropriate with a navy suit, or an earth-toned suit of olive, brown or tan. 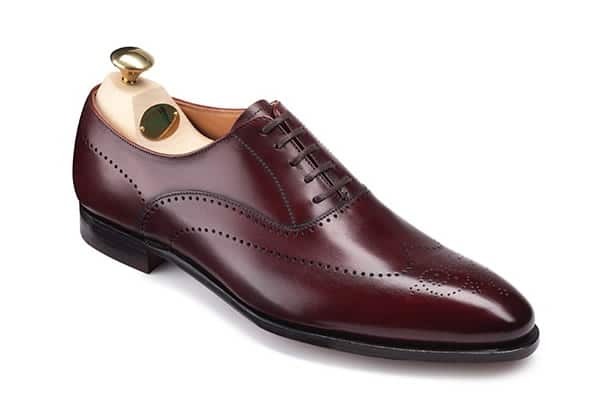 Cordovan is also one color that easily matches with everything except black. 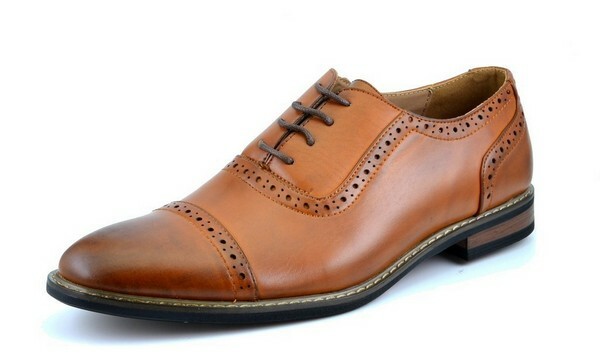 Shoes should be made of genuine leather and have leather soles as well. Soles should be stitched, not glued, to the bottom of the shoes. Stitching should be neat and should be hardly noticeable. Linings should be made of high-quality calfskin or natural leather, not synthetic materials. Anything too extreme is just not attractive by any means. 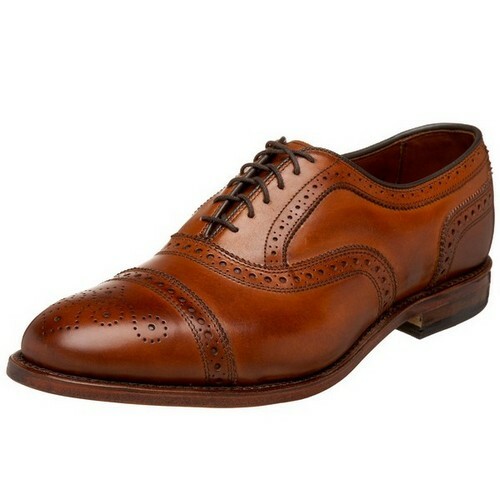 A shoe should never be too round, too pointy, or too square. It just doesn’t look good. Choose one that has elegant curves that complement each other to create a shoe that resembles the silhouette of your foot. It would be best if you won’t purchase your shoes online. Visit the store instead so that you can try it out first. Try walking on it, make sure it doesn’t come off easily. 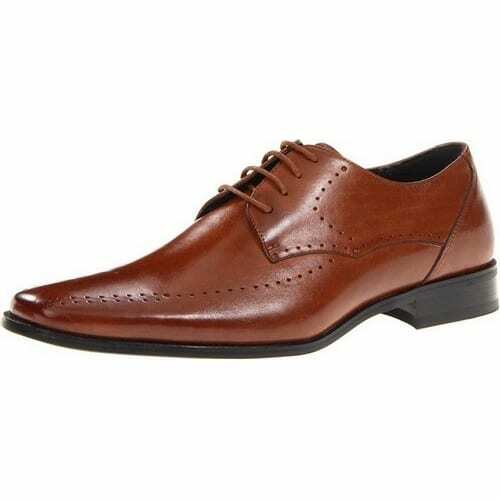 Feel its comfort as there is a huge chance that you might have to stand all day having it as your foot buddy. With that, you will be guaranteed that you will not waste a single dime on it. 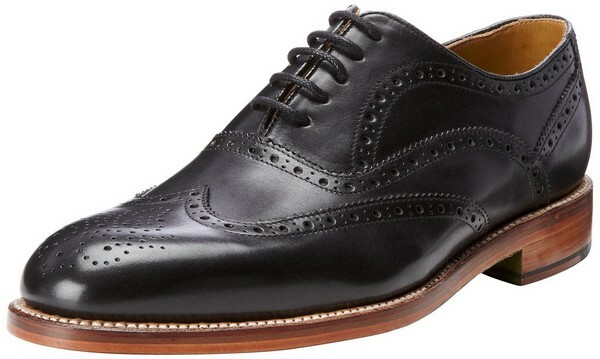 Did you know that men’s dress shoes will also look good on leather jackets, vests, and elegant blazers? Wear skinny jeans, a plain or printed shirt, and voila! your shoes will surely match that good, hot leather jacket! Make sure you complete your look by using a watch, too! Hi! My name is Nick and apparently, I used to dress really bad. Luckily I have a very nice group of friends that helped me dress better, style better and feel better! I blogged about my transformative journey with loads of inspiration, research, and reviews so you can save time looking good!